Predictive analytics, or the use of raw data and statistics to predict future outcomes, has become a hot commodity in the world of sports over the past decade. Starting with moneyballers like Billy Bean and the Oakland A’s, GMs and sports statisticians have been able to gain a better understanding of what has happened statistically in the past, and what is most likely to happen in the future, to make decisions that increase the likelihood of winning games and have statistically strong individual and team performances. Today, this same strategy has been used for different purposes in the world of fleet management. By understanding how vehicles and drivers perform in the past, fleet businesses can leverage that data and make data-driven decisions that often increase fleet efficiency. But how does this work? What are the benefits of predictive analytics in the fleet industry? In this blog, the fleet management software specialists at Skypatrol will discuss the applications and benefits of predictive analytics for small and medium-sized fleet businesses. What data can fleets collect? It truly depends on the fleet management tools in use—but at best, fleets can track vehicle mileage, fuel usage by dollar amount spent, duration of driver trips on any given route, driver speeds, maintenance logs, and driver’s disciplinary records (logged speeding tickets and safety violations, for example). This data alone can provide answers to the biggest questions of fleet managers—but by combining data points and incorporating real-life context, fleet managers can make proactive and frugal decisions that can improve fleet safety and growth. Fuel costs are perhaps the most unpredictable part of fleet expenses—it depends on the state of the vehicle, the driving habits of the driver, idle time, and the route taken by the driver, among other metrics. By combining these metrics, fleet managers can get a better understanding of which vehicles might need maintenance to improve their efficiency, which drivers could operate more efficiently, or which routes might be best to get to certain locations. This can lead fleet managers to make smarter decisions in route planning, and can help them educate their drivers and safer and more efficient driving habits. Safety will always be the number one priority of fleet managers and drivers—and by taking advantage of bulk data, managers can make connections for the most at-risk drivers in their fleets. It’s not always the guy with the most speeding tickets or traffic violations who is the most at-risk on the road—sometimes, it’s the driver who consistently drives at the highest speed going over Vail Pass in Colorado, or the driver who consistently takes busy city streets to get to his destination on time. Bulk data, combined with real-life context, paints a picture of which drivers are putting themselves at risk—which can lead managers to give these drivers safety education that is tailored to their specific unsafe driving habits. Ultimately, predictive analytics are only useful if you use the knowledge you find to make the right decisions. However, you’re not getting far if you don’t have the right fleet management system to get you to those decisions. Fortunately, that’s where Fleet Command can help. With seamless data collection and organization, you have the tools you need to make your fleet better. 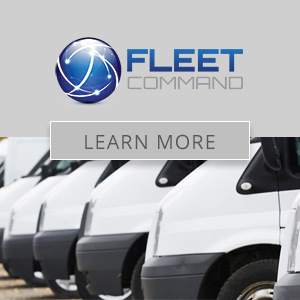 Schedule a demo of Fleet Command today.